The term psychic generally elicits a lot of eye rolls. There's a great misconception about what psychic abilities are. Hollywood would have us convinced that psychics are money grubbing voodoo practitioners that gaze in to crystal balls. News headlines love to run stories about when a public psychic figure gets something wrong, their aim seems to have us believe they are all scam artists. "Psychic" is actually a Greek word that means Soul. Your psychic abilities are your connection to the Divine. You're not alone. You're Higher-Self is always feeding you messages through different mechanisms. This connection is there to help you with everyday life decisions. We are all born with psychic abilities, many of us just don't realize or recognize them because we have a preconceived notion about what psychic abilities look like. Being psychic isn't about fortune telling, it's about having an inner awareness and acting on it. There's energy all around us, we just need to tune into it, or recognize the ways our body is trying to interpret it. Many of us have intuitive or psychic experiences more often than we're aware. You know that gut feeling that stirs from time to time? That's your Higher-Self talking to you. Act on your hunches. Pay attention to what you are perceiving. Recognize your particular method of receiving. Strengthen that muscle to gain the confidence you need to go forward fearlessly. Don't doubt. Your body never lies to you. Using your psychic abilities allows you to be the driver of your own life rather than the autopilot. It's the means to a more conscious life. A great many of us are feelers. Have you ever sensed that something just didn't feel right? Can you feel peoples moods? Do you pick up on other's emotions? Being clairsenient means to have clear feeling. This feeling shows up as a sensation in the body, typically in the heart or gut. Start taking note of your bodies signals. Pay attention to when you feel tugged in a certain direction. Where is it trying to lead you? What is it trying to show you? When something is wrong or amiss it might feel like a constriction or tightening in the heart or gut. It might feel like your heart or gut is twisted up. If you're trying to make a yes or no decision about something, a no can feel like a subtle discomfort or it could be more obvious and feel like you have twisted scrap metal inside. In contrast, when something is positive, in the right direction, or a yes to something, the stomach might feel like it smiled. The heart may feel like it's singing. Be aware of any warm and expansive sensations. A yes should feel good. You'll find that a truth and a lie feel different in the body. A lie usually has a heavy sensation, maybe a hot sensation. Truth always feels lighter. Have you ever known something - like you know like you know like you know? Being claircognizant means to have clear knowing. Claircognizance is when you obtain information seemingly out of nowhere. Information you have no way of knowing, no business knowing, or no way of proving. Someone might ask you a question and you might spit out the answer having no clue how you knew that information. You could be walking along minding your own business and receive "a download" of information about someone or something that you weren't even thinking about. It can be like having an epiphany. Being claircognizant means you know things at the cellular level. Someone may be telling a story or you hear something on TV and you instantly know it's a lie or that's not how something happened. It's not a feeling as it is with clairsentience. Deep down you just know the truth irrefutably. Many of us have let ourselves be talked out of what we know to be true (because we don't have proof) and we let our doubt overrule us. Stop! During this great awakening information will be there more and more rapidly without ever having learned it. You know that little voice so many people tend to hush or ignore? Being clairaudient means to have clear hearing. That little voice inside your head usually has your own voice, so it's easy to ride it off. It's not always audible, it's often internal. The voice is often soft as a whisper so it's easily avoidable. Clairaudience is your Higher-Self actually speaking to you through you. When seeking the answer to a yes or no question, instead of knowing or feeling the answer, you'll often hear a yes or a no in the form of a thought. People often talk themselves out of what they have heard too. They wonder did I hear that right or did I just think that myself? Usually the thought didn't originate from you. It feels separate. It answers immediately and without hesitation. Many people confuse clairvoyants for mediums ("I see dead people"). Being clairvoyant means to have clear sight. Clairvoyants pick up the energy around someone or something. Typically this includes auras, the energy field that is around all living things. Many people can read the energy to see what is going on in someone's life past, or present, and probable future. Clairvoyance can manifest in the form of visualization through the minds eye. They can receive mental impressions, like screenshots of a movie. They piece together these flashes of images and interpret them through their own filters. 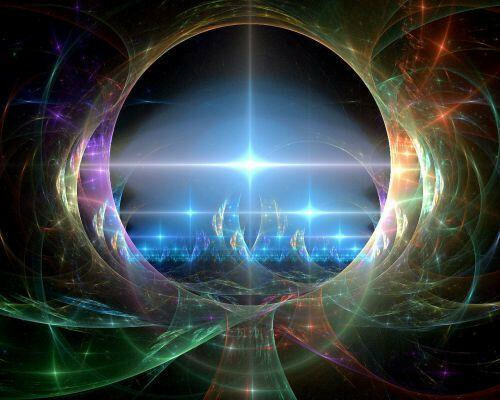 Mediums have integrated their psychic abilities and can tune into the nonphysical realm. They are the messengers between the living and nonphysical beings. Mental meduims remain fully conscious while interpreting information. Only the mind is being utilized. Physical mediums are also known as channelers where the whole body is utilized. The channeler gives either conscious or subconscious permission for another stream of consciousness to meld with their own to covey information.